"It Takes a Village (so to speak)"
I was sick on New Year’s Eve. I knew I would not be able to stay awake to ring in 2013, so I turned in embarrassingly early but set an alarm to wake me just before midnight. Unlike most who were ringing in 2013 in traditional celebratory fashion, I was sitting with my fingers crossed in anticipation of a record year in Aurora without one murder. When the clock struck midnight, I checked all the incidents and calls for service and silently celebrated as I confirmed the accomplishment. I then fell back into my Nyquil-induced coma with a smile on my face. 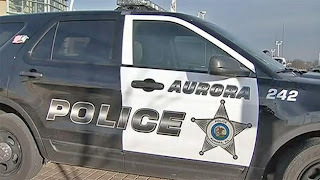 Aurora has suffered a turbulent past that put us on the map for violence. The fact that we as a community have completely turned that around is a remarkable feat. To say who is responsible for the reduction of crime is nearly impossible because so many variables have contributed to the successful transformation in our city. Years ago, we began partnering with Federal agencies, Illinois State Police, and county and other municipal law enforcement entities in large scale operations targeting gang leaders. These career criminals were convicted on federal charges which stipulate that they must serve their entire sentences. There is no possibility of parole or getting out of jail early as we see with so many violent offenders sentenced under State statutes. These operations played a pivotal role in the erosion of the formal gang structures and the violence they wrought. The continuous and relentless pursuit of the gang organizations by our current police force has not afforded these criminal operations to gain the strong-hold they had in the past. 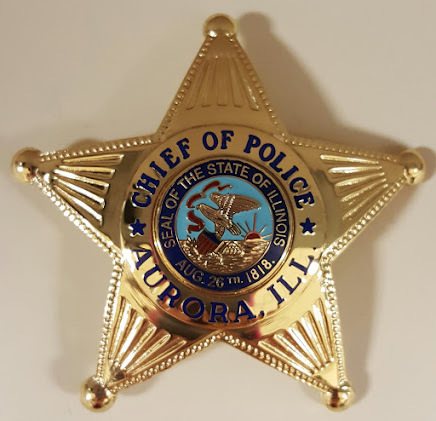 Day in and day out, the men and women in the Patrol Division of the Aurora Police put their lives on the line to confront violent offenders and take guns off the streets. Our detectives, gang, patrol, and COP officers work in their respective specializations to solve crimes, gain intelligence and build solid cases against criminals to secure convictions. Our records clerks and other support personnel maintain and organize data so it is readily available to our Crime Analyst and the officers on the street. Our 911 operators sift through the emotional calls for service and get our officers where they need to be. In short, it takes a village to be successful and it is no one entity that acts independently to ensure our success. We are an interdependent organization and we rely on each other to create the synergy that creates results. The citizens of Aurora get to take credit as well. Our neighborhood groups are strong and work closely with the police department to share information and provide intelligence that we would not have without them. More people are calling 911 to report crimes they see because they are unafraid and will not allow criminals to take over our city as they once did. The police department is fortunate to have the support of the city government who saw the desperate need to provide us with a state of the art facility and equip us with some of the best technology and state of the art tools. We are truly a 21st century police organization because of the support and trust from our leaders. There have been varying opinions on whether police officers should be given the $500 bonus as proposed by the Mayor. Corporate America commonly gives bonuses for a profitable year so it is certainly not out of the ordinary to be compensated for performance. With that, some of our officers will happily receive the bonus. However, there is another group who have opted to return the money back to the city. They believe that we are in the service profession and do what we do not for money but because we have dedicated our lives to serving others. Either way, I think the bonus is a grand gesture and my cup runneth over with gratitude. But just being recognized and appreciated is priceless.